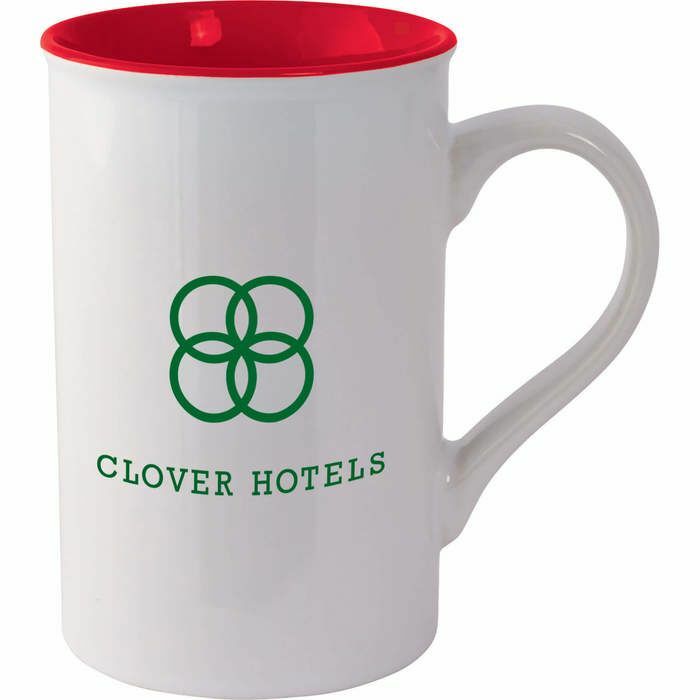 Tall mug with high gloss white exterior and color accent interior. C-handle mug shape. See General Information page for special ceramic item handling charge. Hand wash only.